The U.S. and Russia have agreed to cooperatively reduce their large nuclear stockpiles. The report recommends that the U.S. reduce its arsenal to 500 operational deployed warheads, with 500 warheads in a responsive force, by 2012. These reductions would be made in concert with Russian warhead reductions. 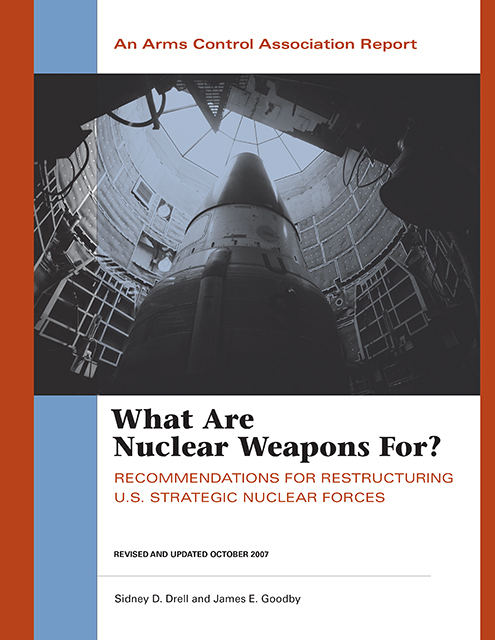 The authors specifically outline where and how the remaining warheads should be deployed. PDF version of the report.